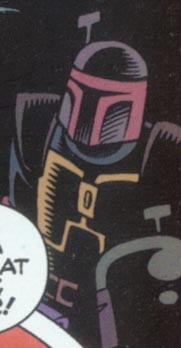 This is the first Mandalorian that I've made using the Cartoon Fett figure, and I must say that I much prefer it. All of the colors are light and muted, so I can just color right over them. I also choose to make this particular Mandalorian because the chest armor was the right color to begin with so I didn't have to paint it.